Three months of Google Play Music is only $1 for a limited time. The deal is offered to new subscribers only, and comes with YouTube Red. This way, you can buy yourself three months of ad-free YouTube videos along with ad-free tunes. This is just another in a series of special deals on content that Google has been offering for the holidays. Yesterday, we told you that through January 4th, those in select markets can take 50% off the price of any one album. You can also get 75% off the cost of any one movie rental. 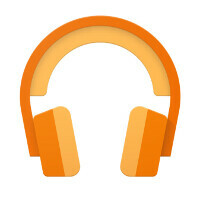 With a Google Play Music subscription, you get to access a library of 35 million songs, ad-free. You can store up to 50,000 of your iTunes titles, and download music to listen to even if you're not online. Curated radio is available for just about any style of music you want to hear, and you have the ability to skip as many songs as you want to. Like the other holiday deals, this one is only available in certain countries. But once you do sign up, you'll be able to listen on all of your devices including those powered by Android and iOS. After the three months ends, you will have to decide whether you want to pay $9.99 a month to continue the service. A family of up to six can subscribe for $14.99 a month. With google surveys, I can use the credit and get 3 months of YouTube red for a buck, Awesome. No, you cannot unless you have more than $10 in your balance, it will say "Insufficient Balance". First was Spotify, now it's Google Play Music. Could Apple Music be next?